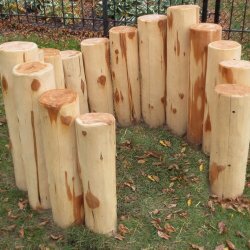 The Log Fort makes a great natural playhouse for your natural preschool playground and offers many opportunities for creative and dramatic play. It can become a castle, a log cabin, a house, a store, a remote wilderness outpost – wherever the children’s imaginations take them. The fort is an excellent place for many children to engage in dramatic play together or for one child or a small group of children to have a quiet sitting area away from the rest of the children’s outdoor playground. We designed the Log Fort walls with short and tall areas. The shorter areas of the wall allow for easy supervision by the teachers and the taller areas give children the chance to feel like they are hidden in a secret fort. The diameter of each log is 5″-7″. 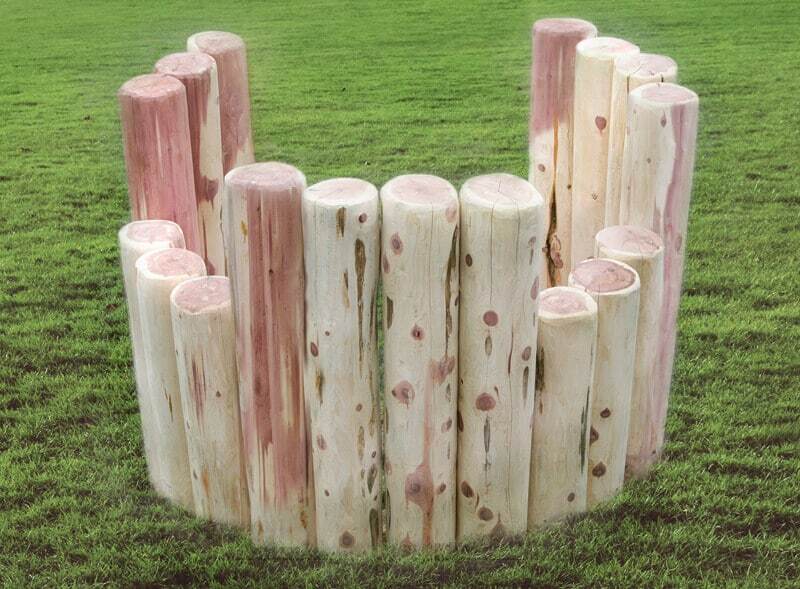 To create your Log Fort, you simply dig a 1′ deep circular trench, concrete the logs into the trench following our design, and you have an immediate Fort on the natural playground for your children to enjoy. The Log Fort with Windows has a top that is straight across and is 3′ high all the way around. Two windows are cut out of the wall, creating two 2′ high areas for the children to peek out. Also available is The Adventurous Child Log Fort with Curved Top.